You can start by acquiring an anti-identity theft program. There are several programs on the market but it is up to the consumer to do his research and find the best one that he is comfortable with. There are some anti theft program that prevents junk mail from entering into your email inbox, stop companies from sending pre approved credit card offers to your email or to your home mail box. Pre approved credit card is dangerous since the credit card company would already have your information and at most you are not aware of the credibility of the offering Company. A good Anti identity theft program takes the proactive route, they do not only react after the credit card has been stolen but they put measures in place to prevent it from happening. If there are anything suspicious the anti theft program will send you an alert, they will also block any transaction that may seem suspicious. 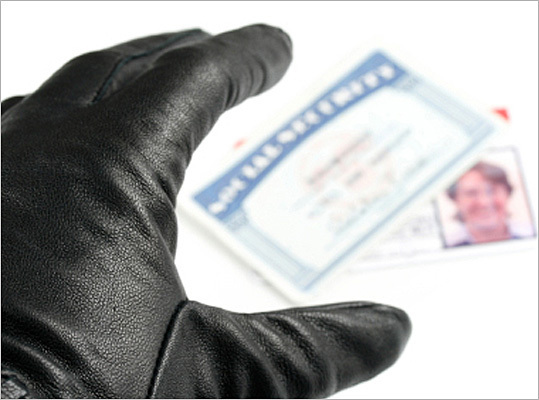 It provides Identity theft protection from unrecognized sources. You should be aware that not all anti theft programs perform the same functions, some do more than others. Some anti theft program only alert you after the theft had occurred, they are not very proactive. A good anti identity theft program monitors your personal information and identification, it tracks your credit cards, and it gives social security number protection, it protects your bank cards/accounts. If there is anything that they have found to be suspicious while monitoring and tracking your records then you will be duly informed. It is best to gain the services of a reputable Anti Theft Company since they would make sure that no loans/ credit is obtained in your name. The major credit bureaus will be contacted and a fraud alert would be sent out. Before the loan is given, the Company would have to verify if the right person is applying for such loan. A copy of your credit report would be provided to you several times during the year. If new bank accounts are created in your name you would be notified or some Company would inform you right away before the bank account creation has been finalized. This is more proactive since it prevents your identity from being stolen. Even though you can employ a reputable Company to protect your identity, you can however assist yourself. You should keep your credit card and ATM pin numbers safe. You should also have a mental memory of your PIN number so that you do not have to rely on some paper to retrieve it. If you have to write it down it is advisable that you do not have it recorded on the back of your ATM card. Do not leave the paper with the PIN number in your handbag, in your car or on your kitchen table or anywhere it can be easily accessed. It is advisable that you change the passwords for your email addresses on a regular basis. It is also wise to have different passwords for each email accounts. Also if you have several ATM cards make sure that the all the PIN numbers are different. As soon as you have read your emails delete the mails from your mailbox. In the event that you abruptly stop receiving emails to your online internet account or stop receiving post office mails it is advisable that you make contact with the Post Office to find out what is happening to your mails. You need to know if your mails are being forwarded to another address. If your mail ends up in the wrong hands it could be detrimental to you since your credit information and social security number are usually recorded in some mails. In regards to your email accounts, it is advisable that you close your email accounts if there is suspicious activity occurring with it. If someone calls your phone and request that you provide your credit card information to buy something or to enter into some type of sweepstakes, it is advisable that you do not under no circumstances give out your credit card information or any personal information about yourself. It is even a scary situation to give out your credit card information when you are purchasing items online. It is best to shred or tear up in bits all credit card information and receipts, old bills, loan applications that are unused, any piece of paper that has your personal information on it. On numerous occasions your theft of identity occurs when thieves have gone in your garbage and have found paper with important information on it. You should ensure that you report your credit card stolen as soon as it happens. This will prevent the thief from using the credit card. It is imperative that you acquire a copy of your credit card report religiously. This will allow you to track the activities relating to the credit card usage. Evidence of fraud could be noticed when you are going through your credit card information. If there are any errors with the credit information it should be reported to the Credit Bureau. Also you should spend the time review your bills and bank statements and report anything that seem to be inconsistent.